【Compatibility】: Unique design for Apple iPhone 7 Plus / 8 Plus 5.5 inch, rather than iPhone 7 / 8 4.7 inch. 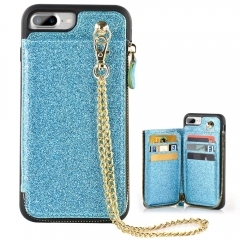 【Bling Design & Hand Chain】: The glitter design will make your iPhone 7 Plus / 8 Plus look pretty and luxury. 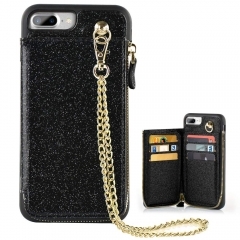 You can use it at any occasion, it will show you so fashionable and cute, the chain wristlet strap makes it easy to carry around. 【Screen and Camera Protection】: Raised camera lip and raised screen lip help to protect your screen and camera from rubbing against flat surfaces. 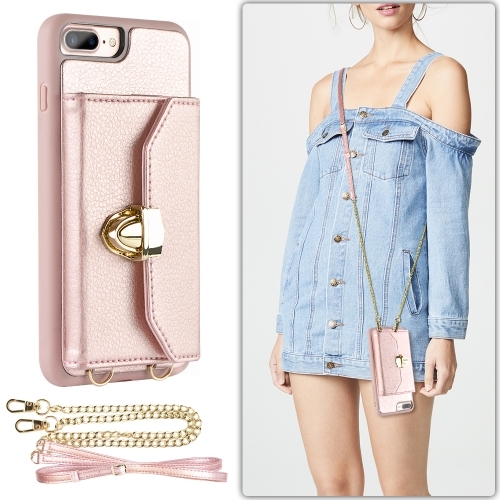 ONLY fit for Apple iPhone 7Plus/8 Plus 5.5 Inches Display. 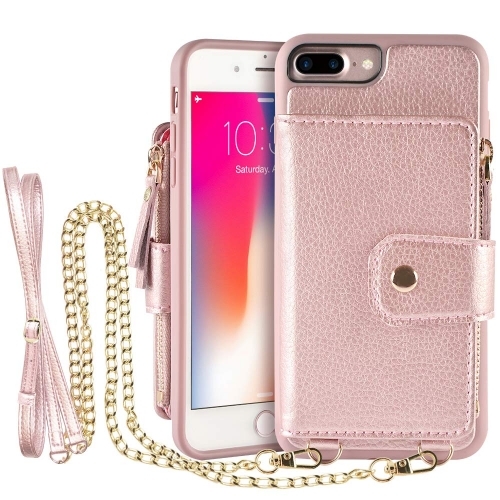 (Not fit for Larger iPhone 7/8 4.7 Inches Display).100% HADNMADE craftmanship and reinforced stitching makes it even more durable and shockproof.Just designed to simplify your life. 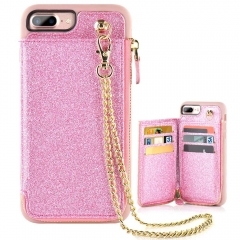 Included 6 hidden card slots, securely holder the cards,easy to take out your IDs, credit card, debit cards, driver's license, or cash. 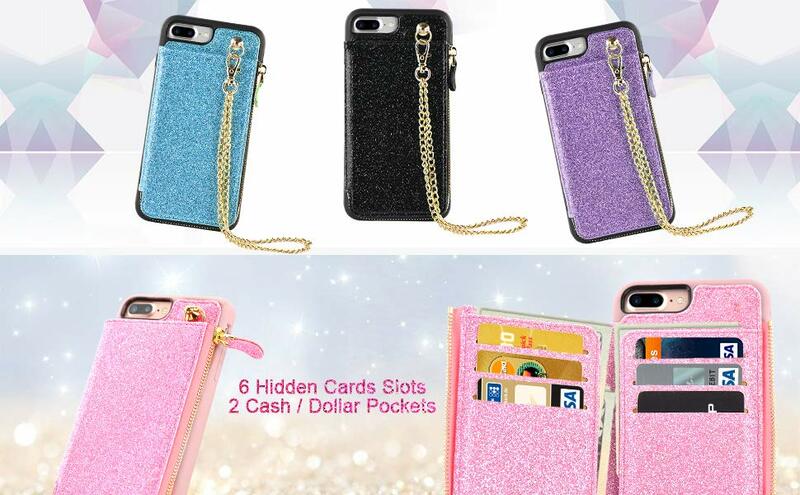 The case has 6 slots,would hold with 6+ credit cards and other cards.